Renew and revitalise skin with the ultimate transformative serum. A and B group vitamins get to work while you sleep for an overall perfected complexion by morning. Potent actives improve skin texture and tone while peptide complexes repair skin’s deeper layers to restore a youthful appearance. 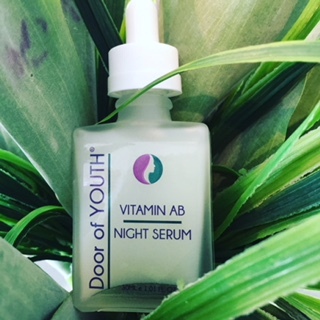 Also formulated with ingredients to deeply hydrate and soothe inflammation, this rich serum is perfect to pair with our Vitamin C Day Serum for a non-stop vitamin infusion.Usage: At night after cleansing, apply to the face, neck and chest area then Repair Night Oil or non-active moisturiser.